Kitchen designers, appliance stores, renovation resources, and more. 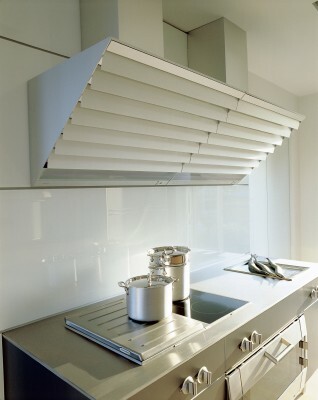 Bulthaup specializes in a spare, modern aesthetic, as in this range and exhaust hood. Photograph courtesy of Bulthaup. To find the right kitchen Designer for you, first look at the kitchens of friends and neighbors. When you see something you like, ask who did the work and how they were to deal with. Browsing through a firm’s Web site or portfolio of projects will give you a feel for its style. During an initial meeting, a designer will probably draw a rough sketch and provide a ballpark estimate. The next step is a home visit for exact measurements. Before signing on the dotted line, it’s a good idea to check references on the designer and contractor, even if you’re going off a friend’s recommendation. Here are kitchen professionals and resources recommended by designers, real-estate agents, builders, and architects. The firms listed specialize in kitchens, and many do bathrooms as well. Most will guide you through an entire renovation, whether a teardown or a minor remodel. The firm will draw up a plan and do the construction, either with its employees or hired contractors. Often designers will help you choose appliances, sinks, lighting, flooring, and decorative hardware. Not listed are general architecture firms whose work includes kitchens; neither are contracting and design/build firms, which often do kitchens as well as whole-house remodelings. See our lists of top architects and remodelers on washingtonian.com. Many of those larger firms limit jobs to major renovations and additions. If your project is smaller, you may be better off with a company that specializes in kitchens. Also not listed here are superstores such as Home Depot, Lowe’s, Expo Design Center, and the Great Indoors, all of which can be good sources for ideas, materials, appliances, and design help. Keep in mind that contractors at those chains are not store employees, so find out how the store would deal with problems. If a designer or contractor isn’t listed here, that doesn’t mean the firm doesn’t do good work. Firms are usually happy to provide referrals—consider this list a starting point. AAI Poggenpohl, 3324 M St., NW, 202-342-9111; 6809 Wisconsin Ave., Chevy Chase, 301-657-8618; aai-kitchens-inc.com. Installation of the high-end European cabinetry line Poggenpohl is done through AAI Construction, its partner design/build studio in Georgetown and Chevy Chase. AAI also carries other cabinetry lines and offers its own custom cabinets. Absolute Kitchens, 8230 Boone Blvd., Suite 170, Vienna; 703-917-0744; absolute-kitchens.com. 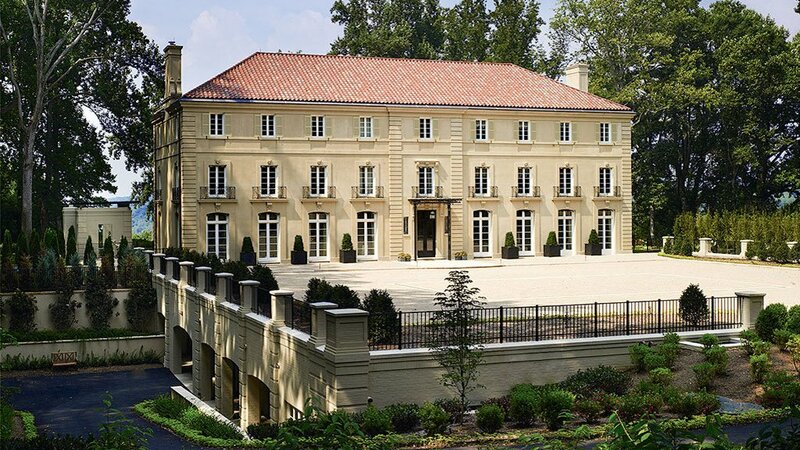 Owner and designer Richard Forbes’s architectural training makes his firm a good choice for larger projects. Aidan Design, 4701 Sangamore Rd., Suite L3, Bethesda; 301-320-8735; aidandesign.com. This firm emphasizes clean lines and contemporary features such as Italian lighting. Alexandria Kitchen & Bath Studios, 1502 King St., Alexandria; 703-549-1415; akbs-oldtown.com. This ten-year-old firm has five kitchen designers on staff; owner George Delaume has 25 years of carpentry experience. Barrons Custom Kitchens, 23 W. Diamond Ave., Gaithersburg; 301-948-6600; barronskitchens.com. In business since 1947, Barrons does contemporary and traditional styles and is a good source for custom and semicustom cabinetry and other supplies. Offers free two-hour seminars on remodeling twice a month most months. Bath & Kitchen Creations, 43671 Trade Center Pl., Suite 112, Sterling; 703-996-8600; bathandkitchencreations.com. This family-owned design/build firm does lots of suburban kitchens in traditional styles such as French country and Tuscan. Boffi Studio DC, 3320 M St., NW; 202-333-7555; info@boffidc.com. This Italian firm has five studios in the United States—the newest, in Georgetown, opened in June. It specializes in minimalist, contemporary kitchen and bathroom designs using natural stone and Corian. Bulthaup, 3324 Cady’s Alley, NW (Georgetown); 202-338-2220; bulthaup.com. Designers at this German firm create kitchens that are modern and simple. The contemporary European cabinetry in stainless steel, one of the firm’s signature materials, has won international awards. Cameo Kitchens, 7297-M Lee Hwy., Falls Church; 703-532-4545; cameokitchensonline.com. Cameo designs kitchens of all sizes and carries only Honey Brook Custom Cabinets, a line made by Amish and Mennonite craftsmen. It does projects only in Northern Virginia. Coyle & Associates, 7420 Fullerton Rd., Suite 102, Springfield; 703-644-9677; coyle-associates.com. Rich Coyle’s firm works often with custom homebuilders and remodeling contractors and has developed a specialty in long-distance remodeling of vacation-home kitchens. Creative Kitchens, 1776 E. Jefferson St., Rockville; 301-984-4477; creativekitchens.net. In business since 1958; high-end kitchens from traditional to contemporary. Custom Crafters, 4000 Howard Ave., Kensington, 301-493-4000; and Kitchen Classics, 6023 Wilson Blvd., Arlington, 703-532-7000; customcraftersinc.com. These companies share ownership, and clients have access to resources at both. Many green or environmentally friendly materials. Dar Designs, 45929 Maries Rd., Sterling; 703-433-9401; dar-designs.com. This store, specializing in high-end European imports, also designs kitchens. It carries several hard-to-find high-end cabinet lines such as Rich Maid Kabinetry and Italian Salvarani. Dee David & Co., by appointment, 7906 Sycamore Dr., Falls Church; 703-560-6601; deedavidandco.com. Clients appreciate Dee David’s one-on-one approach. 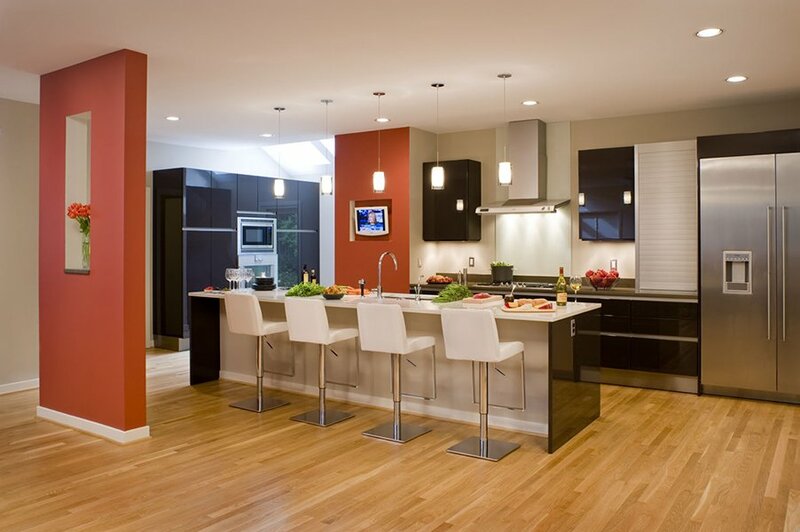 Designs lots of contemporary kitchens in Northern Virginia. F.A. McGonegal, 212 N. West St., Falls Church; 703-532-2284; 1800smworks.com. This longtime (since 1915) design/build/supply firm offers everything from a consultation to full design and build. Harvey’s Kitchens & Baths, 22560 Glenn Dr., Suite 115, Sterling; 703-444-0871; harveys-kb.com. This firm, in business more than 30 years, carries several high-end custom-cabinetry lines and has installation crews on staff. Ikea, 10100 Baltimore Ave., College Park, 301-345-6552; Potomac Mills Mall, Woodbridge, 703-494-4532; ikea-usa.com. Known for its reasonable prices, this Swedish chain is an especially good choice for small kitchens and younger home­owners. You’ll find cabinets, ranges, sinks, faucets, and accessories. Ikea’s kitchen-planning service can connect you with a professional or provide resources for do-it-yourselfers to install their own kitchens. Jack Rosen Custom Kitchens, 12223 Nebel St., Rockville; 301-984-9484; jackrosen.com. This family-owned company does kitchens in traditional and contemporary styles. Also offers custom cabinetry and the latest in appliances and materials. Jennifer Gilmer Kitchen & Bath, 6935 Wisconsin Ave., Chevy Chase; 301-657-2500; jennifergilmerkitchens.com. Gilmer’s 11-year-old firm designs high-end kitchens that are creative and current. She recently won an award for best medium-size kitchen design from the National Kitchen and Bath Association. Kitchen & Bath Factory, 4624 Lee Hwy., Arlington; 703-522-7337; kbfactory.com. Owner/designer Bob Kay, in business 28 years, specializes in smaller kitchens and offers reasonable prices. Kitchen and Bath Studios, 7001 Wisconsin Ave., Chevy Chase; 301-657-1636; kitchenbathstudios.com. Specializes in high-end kitchens in a variety of styles including contemporary, early American, French, and Victorian. Kitchen Guild, 5027 Connecticut Ave., NW, 202-362-7111; 3739 Pickett Rd., Fairfax, 703-323-1660; 6823 Tennyson Dr., McLean, 703-893-8900; kitchenguild.com. This 53-year-old company specializes in full renovations but will also do just cabinetry and counters. Kitchen Planners, 12140-B Parklawn Dr., Rockville; 301-231-9068; kitchenplanners.com. Design and design/build services for kitchens alone or house renovations and additions with ecofriendly materials. Lobkovich Kitchen Designs, 8000 Towers Crescent Dr., Suite 150, Vienna; 703-847-0601; lobkovich.com. An architect-owned firm specializing in high-end custom cabinetry for kitchens around the country. Showroom open by appointment. Portfolio Kitchens, Vienna, by appointment only; 703-242-0330; portfoliokitchens.com. Owner Lois Kennedy specializes in high-end kitchens in traditional and contemporary styles. Reico Kitchen & Bath, 8123 Wisconsin Ave., Bethesda, 301-654-6000; 7500-B Leesburg Pike, Falls Church, 703-748-0700; www.reico.com. If you’re an experienced do-it-yourselfer or working with a contractor, you can save money by using Reico’s stock cabinetry line. The large appliance selection includes Miele and Dacor lines. Stuart Kitchens, 1359 Beverly Rd., McLean, 703-734-6102; 8203 Wisconsin Ave., Bethesda, 240-223-0875; 8031 Ritchie Hwy., Pasadena, 410-761-5700; also in Culpeper and Waldorf; stuartkitchens.com. This company, in business more than 50 years, designs and installs high-end kitchens throughout the area. Tunis Kitchen & Bath Showroom, 7032 Wisconsin Ave., Chevy Chase; 301-652-5513; tuniskitchens.com. From full-kitchen renovations to custom cabinetry. Voell Custom Kitchens, 4788 Lee Hwy., Arlington; 703-528-1776; voellcustomkitchens.com. This nearly 60-year-old firm is known for traditional styles and high-quality materials. These wholesalers and distributors can be a good choice for hard-to-find imports, and the large selection often means more competitive pricing. ADU (Appliance Distributors Unlimited), 729 Erie Ave., Takoma Park, 301-608-2600; 14911 Bogle Dr., Chantilly, 703-263-2300; adu.com. Showrooms open by appointment; service to builders, designers, and consumers. Large selection of high-end brands such as Viking and Wolf. DAD’s Appliance (Discount Appliance Distributors), 12200 Distribution Pl., Beltsville; 301-937-0222; dadsappliance.com. DAD’s works mostly with builders and designers, but it also serves consumers directly and carries such brands as Viking, Bosch, and Miele. Ferguson Enterprises, locations in DC, Maryland, and Virginia; ferguson.com. Designers recommend this national chain for appliances, fittings, fixtures, and sinks. Ann Sacks, 3328 M St., NW; 202-339-0840; annsacks.com. This national chain manufactures its own line of unusual tile. It also carries stone, glass, and mosaic as well as lighting and plumbing accessories. Arc Stone II, 9020 Edgeworth Dr., Capitol Heights; 301-499-2100; arcstonemd.com. Large showroom with natural-stone selections including granite, limestone, onyx, and slate. Architectural Ceramics, 800-F E. Gude Dr., Rockville, 301-762-4140; 203 S. Union St., Alexandria, 703-299-6200; Washington Design Center, 300 D St., SW, 202-554-8719; architecturalceramics.net. A favorite of architects, designers, and homeowners; the large tile selection includes custom and hand-painted. Arlandria Floors, 1800 Mount Vernon Ave., Alexandria; 703-548-4848; arlandriafloors.com. Large choice of flooring including laminates, bamboo, cork, rubber, wood, and tile. Bartley Tile Concepts, 6931 Arlington Rd., Bethesda; 301-913-9113; bartleytile.com. Wide selection of high-end, customized stone, and hand-painted ceramic tiles, both imported and from its own line, the Donna Marie Collection. Best Tile, 11601 Boiling Brook Pkwy., Rockville, 301-984-3386; 8196 Terminal Rd., Lorton, 703-550-2352; besttile.com. National importing chain that carries ceramic, glass, metal, mosaic, porcelain, and stone tile. Also offers tumbled and antique stone. Classic Floor Designs, 2120 L St., NW; 202-872-9860; classicfloordesigns.info. This company has a 5,000-square-foot showroom with hardwood, vinyl, stone, rubber, and leather flooring. Concrete Jungle, 4510-J Metropolitan Ct., Frederick; 301-874-1001; concretejungleonline.com. Fabrication and installation of custom concrete countertops, sinks, benches, and wall and floor tiles. Design Tile, 8455-B Tyco Rd., Vienna; 703-734-8211; design-tile.com. This showroom’s wide selection of ceramic tile, stone, shell, glass, and metal is arranged by color and composition. Design Within Reach, 4828 St. Elmo Ave., Bethesda, 301-215-7200; 3307 Cady’s Alley, Georgetown, 202-339-9480; 1838 Columbia Rd., NW, 202-265-5640; dwr.com. Creative furnishings for the entire house. For the kitchen, you’ll find contemporary counter and bar stools as well as stainless-steel tables and worktops. Floor Gallery, 12108 Wilkins Ave., Rockville; 301-770-3366; thefloorgallery.com. In business since 1919 and in Washington since 1969, this company specializes in custom vinyl tile; you’ll also find linoleum, cork, and hardwood. Kitchen, Bath & Building Design Center, Washington Design Center, 300 D St., SW; 202-646-6100; merchandisemart.com/dcdesigncenter. A dozen showrooms of high-end and cutting-edge design in cabinetry, flooring, tile, and fixtures as well as a display on local designers with photos of their work. Showrooms include Studio Snaidero (202-484-8066) for contemporary European styles; DeZahra (202-234-7287) for hand-crafted tile; Milestone by Design (202-484-5103) for imported limestone; and Clive Christian (202-314-5700), Rutt HandCrafted Cabinetry (202-554-6190), and Washington Kitchen & Bath Design Studio (202-266-0600) for beautiful woods. Marble Systems, 2737 Dorr Ave., Fair­fax; 703-204-1818; marblesystems.com. Natural stone including granite, slate, limestone, and marble in a variety of surface finishes such as rustic, classic, and modern. Marblex Design International, 2926 Prosperity Ave., Fairfax; 703-698-5595; marblexinc.com. A fabricator specializing in custom stonework for countertops, floors, island tops, and backsplashes. Showroom features marble, granite, limestone, and quartz surfaces. Marmara, 1125 Okie St., NE; 202-635-4292; marmarausa.com. Installs granite and marble as well as more-unusual surfaces such as onyx and travertine. R. Bratti Associates, 403 E. Glebe Rd., Alexandria; 703-549-1135; rbratti.com. Specializes in granite, marble, and limestone for countertops, showers, and more. Renaissance Tile & Bath, 816 N. Fairfax St., Alexandria; 703-549-7806; renaissancetileandbath.com. This designer favorite is a high-end chain based in Atlanta. Interior designers on staff help consumers with the wide selection of limestone, marble, and granite as well as hand-painted decorative tile. Universal Floors, 4625 41st St., NW; 202-537-8900; universalfloors.com. Installation, restoration, and refinishing of hardwood, bamboo, and cork floors. Just as you wouldn’t buy a car without taking it for a test drive, you may not want to spend a small fortune on a high-end appliance without giving it a try first. At these test kitchens, you can try out stoves, refrigerators, dishwashers, and other appliances. There’s no pressure to buy; because the kitchens are wholesalers, no products are for individual sale. Frequently a dealer or designer refers clients to a showroom, but you can also set up an appointment directly. Fretz, 9204-H Berger Rd., Columbia; 866-987-2123; fretz.com. This showroom, open by appointment, has high-end lines such as Sub-Zero, Asko, Best by Broan, Franke, and Wolf. Home-design magazines such as Kitchen & Bath Design News and Dwell can offer ideas. Here are other sources to help you get started. American Institute of Architects, 800-242-3837; aia.org. This site has sample contracts and a searchable database of architects. The three local chapters—AIA DC (aiadc.com), AIA Northern Virginia (aianova.org), and AIA Potomac Valley (aiapvc.org)—also provide information on finding and hiring architects. Angie’s List, angieslist.com. This consumer-networking Web site ranks home-improvement companies across the country on price, quality, responsiveness, and professionalism. Membership is $67 a year plus a $15 sign-up fee. Association of Home Appliance Manufacturers, 202-872-5955; aham.org. The Web site’s consumer pages have buying advice, contacts for all appliance brands, and safety guidelines. Energy Star, 888-782-7937; energystar.gov. The phone hotline and Web site give information on appliances and energy, such as how to lower your energy bill or get rid of mold and mildew. Rebates and special deals are offered through the program. International Solid Surface Fabricators Association, 702-567-8150; issfa.org. The Web site has information on the composition of all solid-surface countertops, such as Corian. National Association of the Remodeling Industry, 800-611-6274; nari.org. Online, click on “homeowners” for advice on choosing a contractor, articles, a searchable database of contractors, and tips on saving money and trouble in remodeling. Natural Stone Council, genuinestone.com. This cosponsored site has lots of information on stone and what works for what purposes in counters. These area services offer free referrals to kitchen remodelers and other home-improvement businesses they have screened: Urban Referrals (urbanreferrals.com) and Home Connections (homeconnections.com) serve the Washington area. Home Solutions Connection (homesolutionsconnection.com) focuses on suburban Virginia and Maryland.